Ms. Naso is a forensic document examiner with over ten years of experience in the field of questioned documents. Ms. Naso began her career with the United States Secret Service, during which she completed a two and a half year apprenticeship-style training program. She received her Bachelor of Arts degree in Psychology from Yale University and a Master of Science in Forensic Science from the University of New Haven. While earning her Master’s degree, she also apprenticed at the Connecticut State Forensics Laboratory. Ms. Naso is certified as a Diplomate of the American Board of Forensic Document Examiners, which is the only certifying body sponsored by the Canadian Society of Forensic Science, the American Society of Questioned Document Examiners, the Southwestern Association of Forensic Document Examiners, and the Southeastern Association of Forensic Document Examiners, and also is recognized by the American Academy of Forensic Sciences, the International Association for Identification, the Midwestern Association of Forensic Scientists, and the Mid-Atlantic Association of Forensic Scientists. The ABFDE is the only certifying body that can claim such sponsorship and recognition. 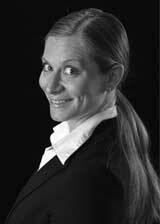 Ms. Naso has been accepted by both federal and state courts as an expert witness and has testified in both criminal and civil cases.